You took this at the right moment and I love the pp...looks a bit old fashioned. Awesome! 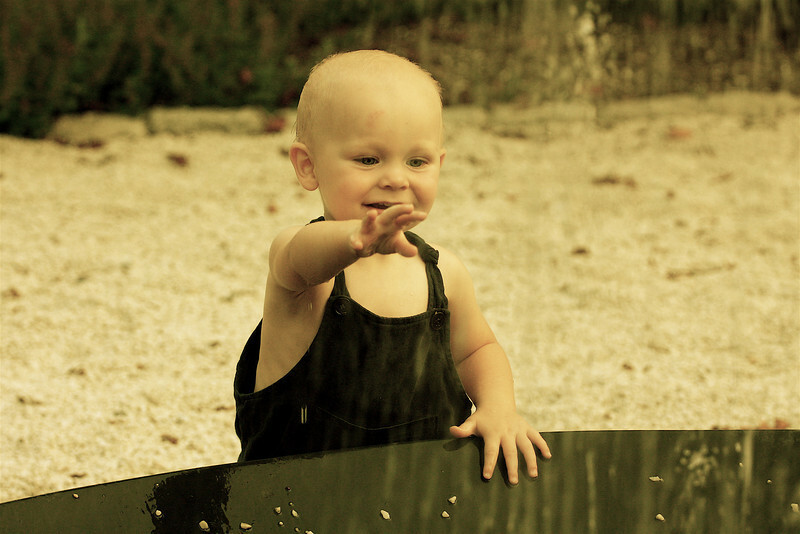 Water always seems to delight kids, and you've caught that delight very well in this child's eyes. Youve done a really nyc job here capturing the moment! Nice lighting and really cute shot! Nice -- it looks like an an old film shot.